Remember how excited you were when you first purchased your trailer and all the adventures you were planning to go on. Then, after that initial new owner excitement came the confusion of knowing how to hook up your trailer to begin your life on the road. At Dyers RV parts and supplies we have guides to help make finding the right hitch for you a snap. 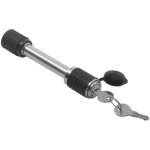 We stock a variety of hitches, so you are bound to find the right one for you. At Dyers we carry name brand products that you can trust like Pullrite, B&W, Reese, and Equal-i-zer. 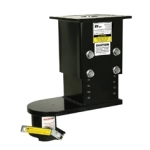 If you have a short bed truck we have hitches that slide, the mounting bracket kits that you need to ensure the hitch is secure in your truck, and capture plates to keep your hitch locked in place until you need that extra slide so you do not damage your truck cab. 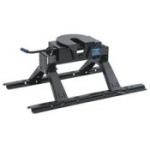 Do you want to switch from towing a fifth wheel to taking your horse trailer on the road? No problem. 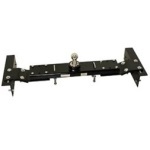 We carry gooseneck hitch adapters and gooseneck hitches so you can hook up and travel. 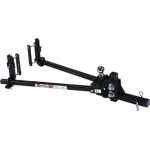 If you are towing a trailer we have the Equal-i-zer four point sway control hitch that utilizes your trucks suspension to keep the weight of the trailer evenly distributed. While using their patented technology to assist the tongue of your trailer to keep you from swaying into the other lane during wind storms or high speeds. When you are an RVer one of the most exciting and potentially frustrating parts of the trip is setting up the trailer, getting it hitched up to the truck and ready to go. Anyone who has had a trailer knows how difficult it can be to line up the hitch to the pin box or hitch ball. Finding the right person to help you guide the truck for hook-up can be a battle, or if you are hooking up by yourself without a spouse, or spotter, Dyers knows how difficult that can be because we are RVers too. We carry back-up cameras and mirrors to help guide you when attaching your hitch to the trailer. At Dyers we carry the parts and accessories you are looking for to fit your needs. 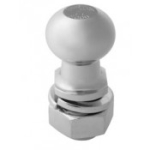 A Pullrite hitch cover maybe, or a larger drop/raise shank for your equalizer hitch. Stop by Dyersonline.com to find everything you need for your RV.